Meet the newest members of Team Goodwille | Goodwille. Good news. News about what’s happened, what’s up and coming, opinions and blogs. Team Goodwille has grown rapidly in the past year! Since the start of 2019 we have welcomed 3 new team members! Get to know Isabelle, Selina and Sonja, the newest additions to our Corporate Legal, Finance and Marketing teams. Isabelle joined our Corporate Legal Department in London on 28th January. She has lived in no less than six countries, and is currently finalising her Master’s Degree at University of Cambridge. With her international experience and an educational background in International Relations, Isabelle joined Goodwille to work with overseas companies setting up in the UK. Read more about Isabelle here. Selina is a great addition to our Finance team in London! She joined us on 6th February and brings with her over 15 years of experience working with finance in several industries, including fashion, oil and gas and education. Her skills and knowledge will certainly come well in handy as we work with clients from across a variety of sectors. Read more about Selina here. Sonja moved to London from Turku in Finland to join Goodwille’s Marketing team on 4th March. After working at the Finnish Chamber of Commerce in Hong Kong and the Embassy of Finland in Bangkok, Sonja wanted to continue working with Finnish businesses on the international arena. That’s when she found Goodwille, where she will be the first point of contact for Finnish businesses thinking about expanding to the UK. Read more about Sonja here. 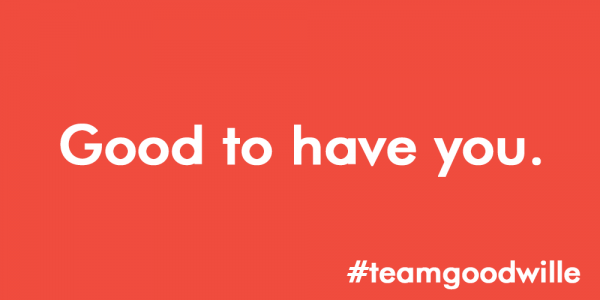 Do you have what it takes to join #TeamGoodwille? Check out our current vacancies here.